Oh! It’s Magic! 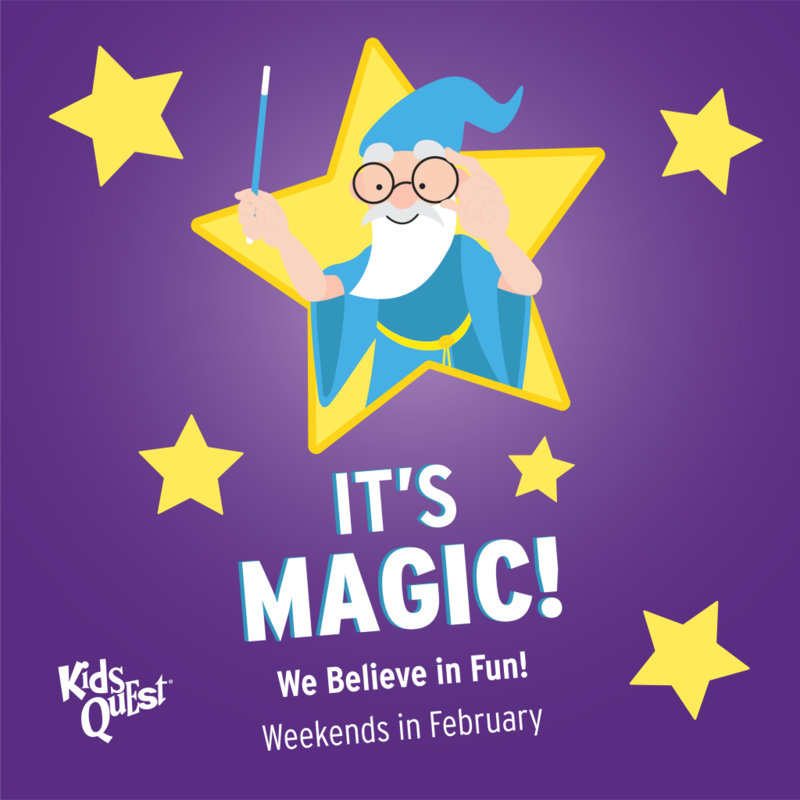 Join us for some happy hocus pocus and some awesome abracadabra throughout the month of February at Kids Quest! Centers will be celebrating everything magical with crafts, games and other enchanted activities! You give us $50 and we’ll give you $10! Stay up to date on the latest happenings at Kids Quest and Cyber Quest to plan your next visit!